No IT staff? No problem! 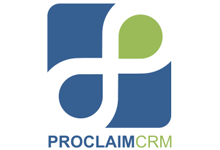 ProclaimCRM church management systems are tailored to church plants. We can have you up and running quickly and efficiently. We invite you to see what a true web-based system can do for your new ministry. No costly customizations; volunteer friendly, and fully web based. Our Quick Start platform will turbo boost your organization! ProclaimCRM’s social network is also perfect for keeping new people engaged. You can provide members and visitors the ability to view announcements, register and pay for events, communicate with small groups, and much more. ProclaimCRM provides real solutions that are easy to configure and intuitive to use. Members can use their Facebook, Gmail or Yahoo! logins and link directly to their church management database. Eliminate duplicates and the need to merge information from different profiles.